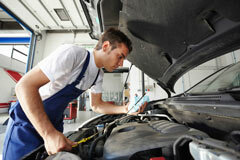 Need auto repair services for your San Ramon vehicle, including an oil change or brake repair? One of the most preferred auto repair service centers in San Ramon that offers oil changes, brake repair, and general auto repair services is Valley Import Center. At Valley Import Center we take pride in our excellent customer service, quality auto repair services, and customers’ trust. We know your car is a very valuable asset to your life, which is why at our ASE Blueshield Certified facility, we have the best certified technicians in San Ramon. It might seem like a hassle to get an oil change or brake repair when you’re in a hurry, but our team of auto repair professionals will get everything done quickly and efficiently. If your concern is transportation while you wait, we offer free shuttle service to and from our San Ramon auto repair services facility. Get The Most From Your Repair Shop! When you need quality oil change service or brake repair in San Ramon from an auto repair service center that offers the highest quality workmanship, come to Valley Import Center.